August 2017 MVP Jan Egil Ring and I launched an open source PowerShell based Pomodoro timer. This is a great way to get stuff done, but difficult to get started with. Andreas Kang Schøyen over at Lillevik IT has done something about that and created an executable program that sets up the integrations and timer. Multitasking is a myth. The goal is to reach the flow state by focusing on one task at a time. Have you ever started writing an email, thought you sent it and eagerly waiting for a response, only to find it incomplete and unsent at the end of the day? This is one of the perils of multitasking. The Pomodoro Technique is a great methodology to induce flow in a busy workday. It is all about avoiding distractions for 15-25 minutes and focus on one task at a time. This is a short enough period in the day that you can squeeze it in before a meeting. It is incredible what you can get done 15-25 minutes. The goal is to not get distracted and it takes about 7 minutes of focus before your reach your flow state. 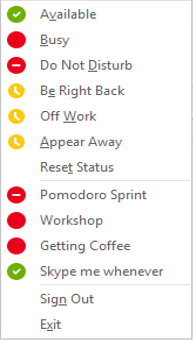 If you want to succeed with Pomodoro, you need to make yourself unavailable. Equally important, you need to make yourself available again when those 25 minutes have passed. That is why we created the Pomodoro PowerShell tool, and why I love the simplicity of this app. This is an open source project on GitHub so please feel free to add your own suggestions to the project. 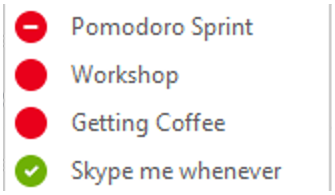 Wouldn’t it be cool if you could change your presence state in Skype for Business to match you current task such as busy in a Workshop, Do Not Disturb in a Pomodoro Sprint or Away Getting Coffee? Turns out, you can by creating an XML file and adding a setting in your local registry. How? The easy way is to download my script, change the custom presences that is predefined in the script and run it. 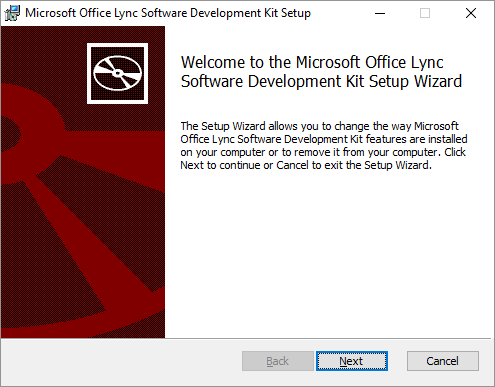 Publish-SfBContactInformation -CustomActivityId 1 -PersonalNote "Getting Stuff Done" -Location "@HomeOffice"
To install the Lync 2013 Client SDK you need to have administrator rights to your computer. 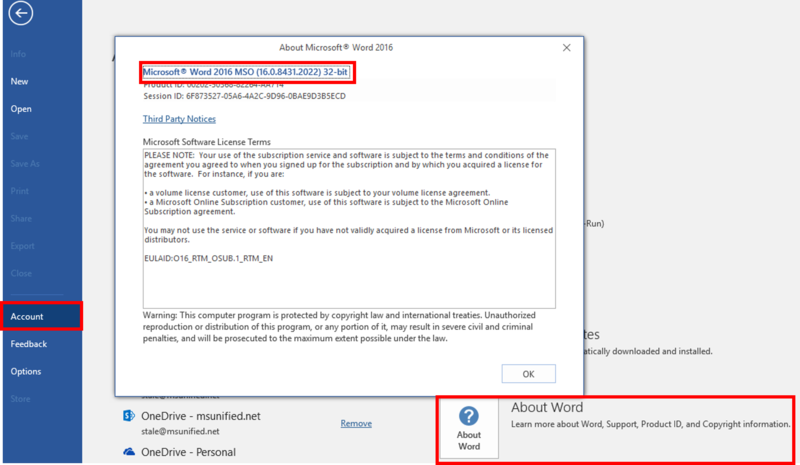 This works on Windows 10, Windows 8, Windows 7, Lync and Skype for Business desktop clients. Publish-SfBContactInformation -Availability "Available" -ActivityId available -PersonalNote "Getting Stuff Done" -Location "@HomeOffice"
November 16th 2016 I had the pleasure of talking at TechDays Sweden about How to get started with Skype for Business Meeting Broadcast. This is the second time I have the honor of attending as a speaker and this is a really great conference with a good expo floor and great keynotes. Heard about Meeting Broadcast in Office 365? It is available for all Enterprise licenses. 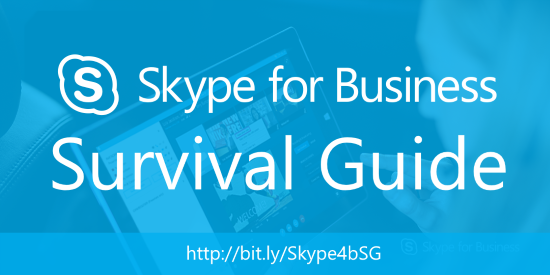 You can use your regular Skype for Business client to stream your meeting to any device without any client requirements. After the meeting it will be available on demand and you can get statistics on how many have consumed your broadcast. New features even include a QA module for two way communications with your attendees. This session will walk through how to get started, best practices and how to look professional doing it. Nevermind! My name is in it! 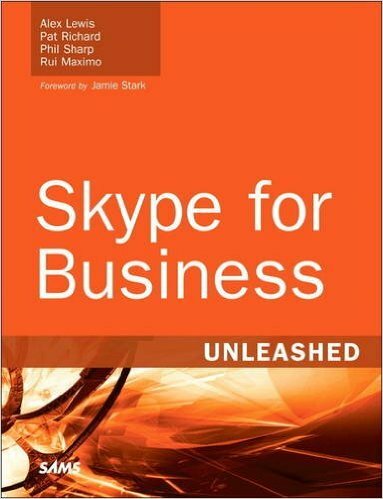 More and more organizations are complementing or replacing their legacy telecom and UC systems with Skype for Business. The challenge is phone number management in a mixed environment or in a Skype for Business only environment. For the past five years I have been working on phone number management within Lync and Skype for Business resulting in the latest iteration of my PowerShell script. 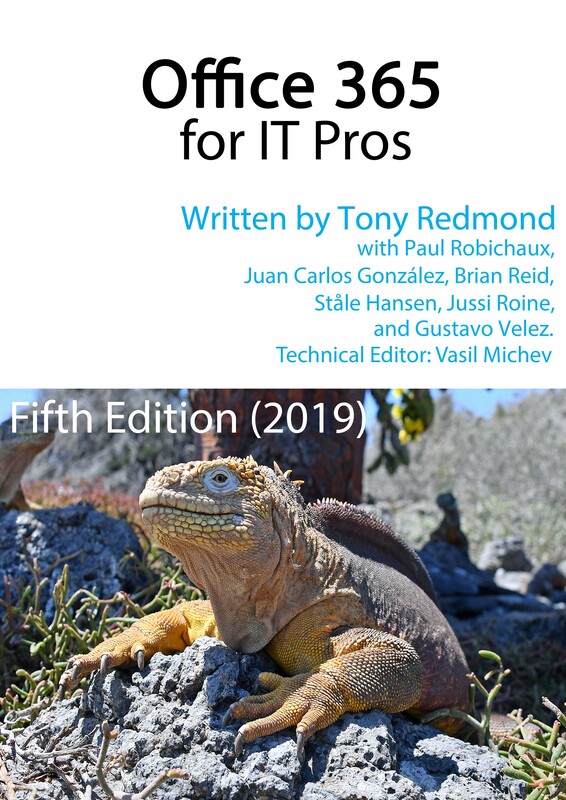 I have also talked at Microsoft events such as Lync Conference, TechEd North America and Microsoft Ignite about the challenges and I see a real interest in the market on how to do number management effectively.